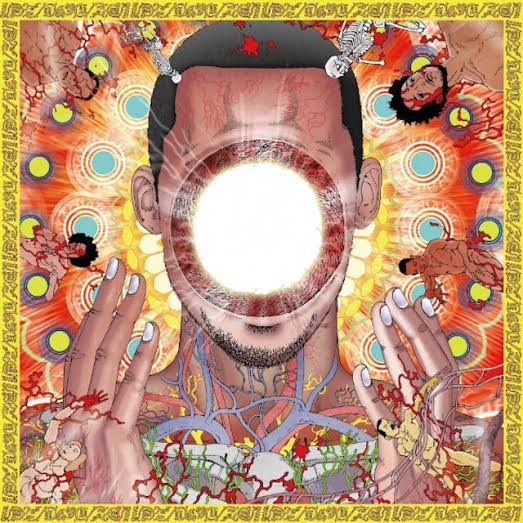 Album Review: Flying Lotus – You’re Dead! A muted symphonic swell gives way to the familiar diced up jazz fusion sound that is undeniably Flying Lotus (aka FlyLo). You’re Dead! is FlyLo’s fifth album, and while the title would be indicative of the overarching theme of this album, special attention should be given to the exclamation mark at the end. Seemingly embracing the inevitable condition that unites all people—death—the album reads more like a celebration of life than a lamenting for what eventually must come. A celebration of life wouldn’t be complete without guest appearances by your fellow counterparts on the scene, and Flying Lotus doesn’t hold back. The sure bet collaboration with Thundercat makes its appearance, and added to this album’s roster is Kendrick Lamar, Angel Deradoorian of Dirty Projector notability, the legendary Herbie Hancock, and Snoop Dogg (side note: I am totally lost as to when to refer to Snoop as a Dogg or a Lion). The frenetic jazz, drum, and bass fusion of “Never Catch Me” with Lamar is so catchy it beats you over the head that resistance is futile. Try as you might not to give in to the star power of Lamar’s name, the song stands out as the thematic heart of the album (“Ain’t no blood pumpin’ no fear, I got hope inside of my bones / This that life beyond your own life, this say this go for mankind / This that outer-body experience, no coincidence you been died / You are dead”). Also standing out as a moment to remember is “Siren Song” featuring Dirty Projector vocalist Deradoorian. With a warm crackle reminiscent of magnetic tape drawing the listener in, a shimmer of chimes gives way to a slow, heavy beat and Deradoorian’s choral voice stereo panning from ear to ear. Her ethereal vocals seamlessly move the listener into “Turtles,” a synthetic meditation of cultural influences. A bird-like trill, dampened wooden percussive elements, and FlyLo’s hallmark groove bass sound leave you feeling as if you are on a mythic quest in some dense, clandestine woods. The album has a momentum as swift as a river current, with tracks so short and fluid with one another you may not realize you’ve traveled over a quarter of the album in seemingly no time at all. The longest track is just shy of three minutes (2:56). All the tracks on You’re Dead! feed into the next, giving true reward to the album aficionado. To listen to any of these songs on their own, out of context of the album, would be like reading a single chapter from a novel, an unfair representation of the entire work. Flying Lotus’ You’re Dead! makes for the most incredible, epic Zelda session music.